Today I am reviewing a band who, like Bon Jovi, epitomized the big hair bands of the eighties and early ninties. Picture 5000 14 to 17 year old boys pumping their fists in the air to the tunes coming from 50,000 watt amps. This band has probably had the most member turnover comparable to the fictional Spinal Tap and yet has had only one lead singer. 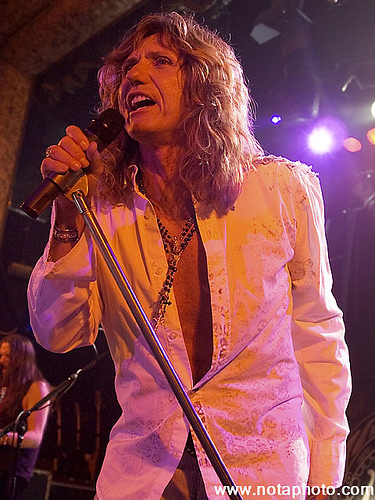 In fact the singer, David Coverdale, founded the band. The band (I can’t believe I am reviewing) is Whitesnake. I know, the same glam metal ballad laced band prominant on the MTV airwaves in the late eighties. The band that spawned the love affair and eventual marriage of video babe Tawny Kitaen (who appeared in most of the Whitesnake videos) and Coverdale. 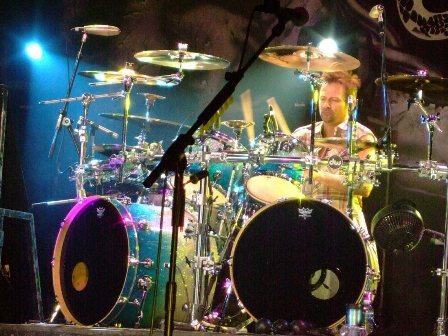 Whitesnake has had many talented musicians involved in many of the various projects over the years. Here are some of the many names: Jon Lord, John Sykes, Steve Vai, Vivian Campbell, Cozy Powell, Adrian Vandenberg, Tommy Aldrige, Rudy Sarzo, and Anysley Dunbar. These names alone represent the many bands spun from Whitesnake. Long live the guitar solo which is so present out of the gates in this first song. It is composed well and fits the tone of the song. Song number two is “Can You Hear The Wind Blow”. The lead in and prominent riff in this track is hot. I love the way the the last chord is held for an extra beat, then slid and held again. 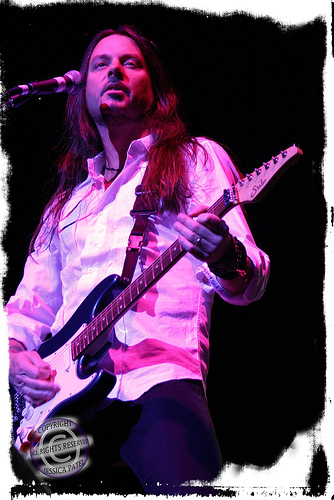 The song features a hint of slide guitar along with the virtuoso soloing of Reb Beach. The next track “Call On Me” incorporates some imaginative guitar work which I would expect from the likes of Aldrich and Beach. The bridge has some nice slide guitar that presedes the very cool escalating ionian scale solo. Now comes the first ballad on the album and it is called “All I Want All I Need”. It features Coverdale’s voice very well. The song, like most of them, is about finding love, keeping love, and professing love. It is very well done, but it is a ballad. The song is my album fave right now. “Lay Down Your Love” is a well composed hard rock guitar song that reminds me of “Still Of The Night” with it’s blues influenced riffs. The mid-point of the song just totally rocks. “A Fool In Love” is reminiscent of old Whitesnake before their popularity. It is very steamy blues-oriented. The song even starts out with simulated pop and crackle like and an old vinyl record. The song is totally blues rock and a nice addition to the album. “Got What You Need” sounds like a combination of Whitesnake and older ACDC and works very well. The album ends with “till The End of Time” a nice acoustic blues oriented song that could have been placed on any early Led Zeppelin album. I can’t believe I did it but I’m glad I did. The new Whitesnake album is a definite treat and a genuine nice surprise. The lyrics are secular but not laced with the sexual innuendo so prominent in the eighties metal bands. I will be listening to it on my mp3 player for some time to come. I give it four and a half stars out of five. Check out the video for “Lay Down Your Love”. This is actually one of the “hair bands” I like. I really like the video – and the song is great. The only problem is that David Coverdale is the same age as my sister! And at fifty-six, I’m thinking it’s time for him to let go of the hair – yeah, even Jon Bon Jovi has had a haircut! You can act your age and still rock, that’s all I’m saying! What? Jon Bon Jovi has had a haircut? so what? DC looks great with hair !! and who said that only young people can have long hair? i think long hair is great at any age! And DC don’t acts, he just ROCKS! I’m glad you like them. I know what you mean about Coverdale. If you look at some of the closeups in the video he is definitely showing his age in the face. When I researched the guitarists and found that they are close to my age I was encouraged. But wow, are we really that old? I don’t know. I think David Coverdale would look kind of scary with short hair. I agree with your take on Good To Be Bad. 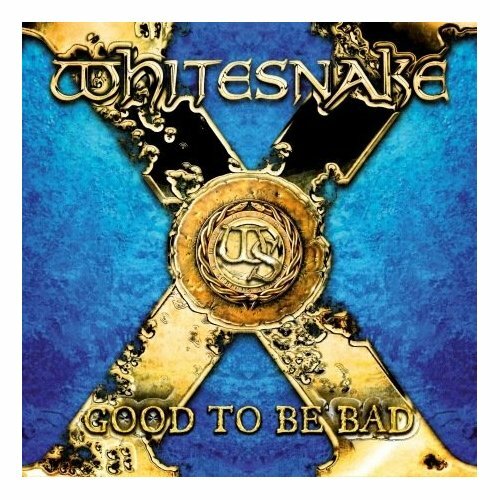 Whitesnake could have come out with a real stinker of an album, instead, they have created would I would consider one of their best releases yet. When I looked at the list of guys in the band over the years, one particular name (steve vai) brought back memories. I had the album in the 80s that he did with David Lee Roth. What a waste of talent, and I am not talking about dave. Tobacco Road would have been a decent song except for the vocals. You are right about Steve Vai. The guy is uber-talented. He has recorded several solo projects for the most part reflect a certain genius, in another way reflect a bizarre mind. I will post one of my favorites in my shared box widget located near the bottom of the main page. The song is called “The Audience Is Listening”. Like you, I was very surprised by this album. I’m calling it the best of the band’s career! Thanks TDub. I totally agree. 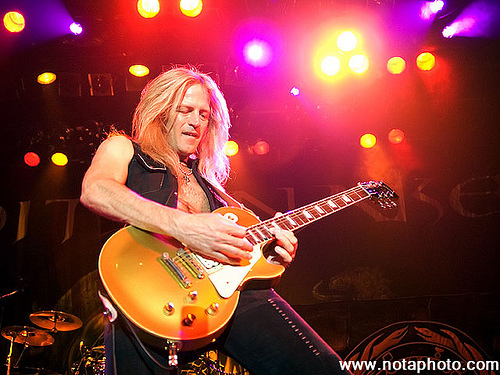 Although the self-titled “Whitesnake” album that featured John Sykes on guitar was pretty awesome. 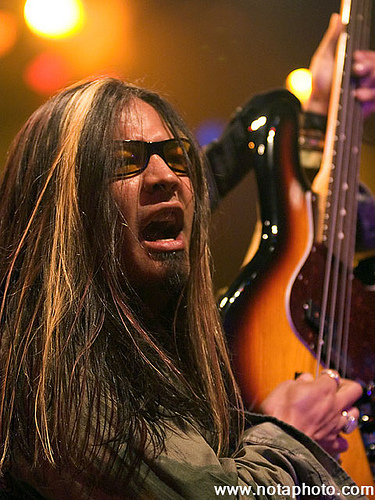 Forget flashy posers like Adrian Vandenberg and Steve Vai !. Micky Moody, Bernie Marsden and Mel Galley are the best. I have all the Whitesnake albums from the Snakebite EP to the UK version of Slide It In. For me, Whitesnake died in 1984 after Jon Lord left. If you could please take that godawful picture of me down off of this page I would sincerely appreciate it. Thanks, Chris Frazier. Sorry Chris, and thanks for the feedback. I have changed the pic. Let me know if this suits you better. If not, and even better, please send me one. Rawk On!